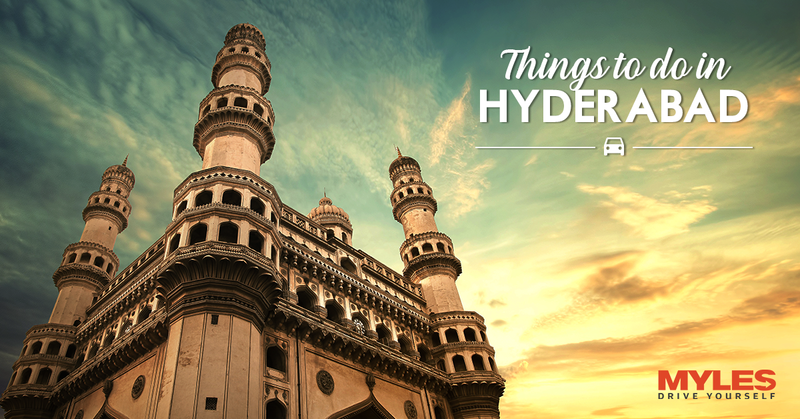 You might know Hyderabad for the popular Charminar, delectable biryani and a unique dialect as shown and talked about in our Bollywood Movies. However, exploring a city in real life is a far different experience than watching it on the silver screen. Blended with the quaint shades of the bygone era and the glitz of the present, the city of Hyderabad plays a perfect host to tourist from around the world. The irresistible charm and beauty of this heart-warming city is highly infectious and makes everyone fall for it. When it comes to picking out the things to do in Hyderabad, you might find a long list. To help you shortlist what to do when in Hyderabad, we have handpicked a few activities for you. Golconda Fort is one of the most renowned monuments in Hyderabad. An architectural wonder, the Golconda Fort was built with the state-of-the-art techniques in its time. At night, the fort turns into a magical place when the light & sound show begins. 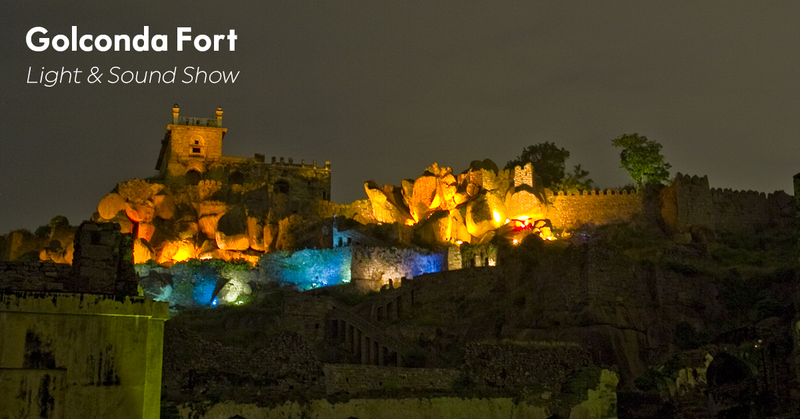 It is through scintillating illuminations that the great history of Telangana is told, during the light & sound show. 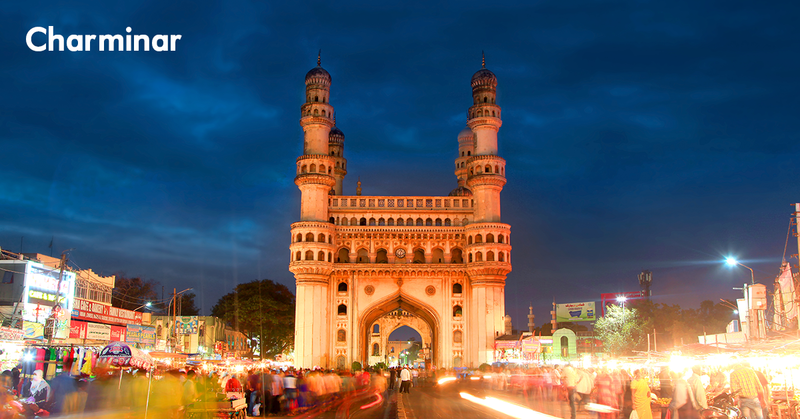 One thing without which your travel to Hyderabad would be incomplete is a visit to the Charminar. Known to be the most important landmark of the city, a visit to this historical monument is without a doubt amongst the must-have experiences in Hyderabad. This architectural marvel is built in Indo-Islamic style and has four different gateways. All the four minarets of this historical structure have domes that are decorated with intricate designs and artifacts. You can take a stroll around this stunning structure, go shopping, enjoy delicious Hyderabadi delicacies and make the most of your visit to Hyderabad. Other than Charminar, the thing that you just can’t miss when in Hyderabad is the Biryani. The pioneering flavors of this delicacy (made of rice) that is served in this city will make your taste buds go, Wow! 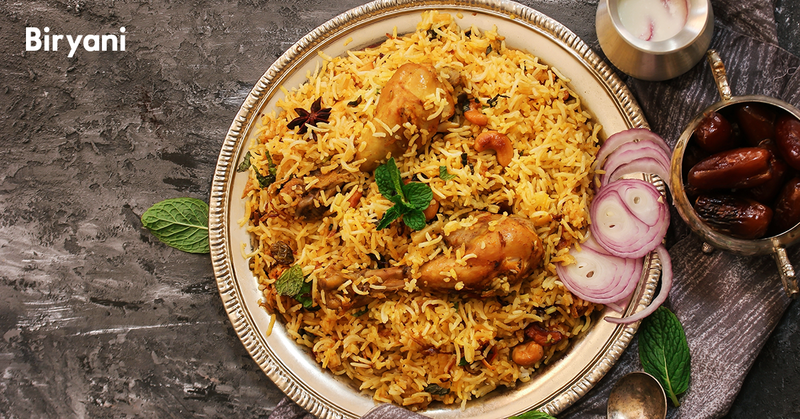 Few places in Hyderabad, every biryani lover must visit are Bawarchi Nallakunta ( RTC X Roads ), Cafe Bahar (Basheerbagh), Shadab Hotel (Ghansi Bazaar), Paradise (Secunderabad) and Shahi Dastarkhwan (Lakdi Ka Pul). 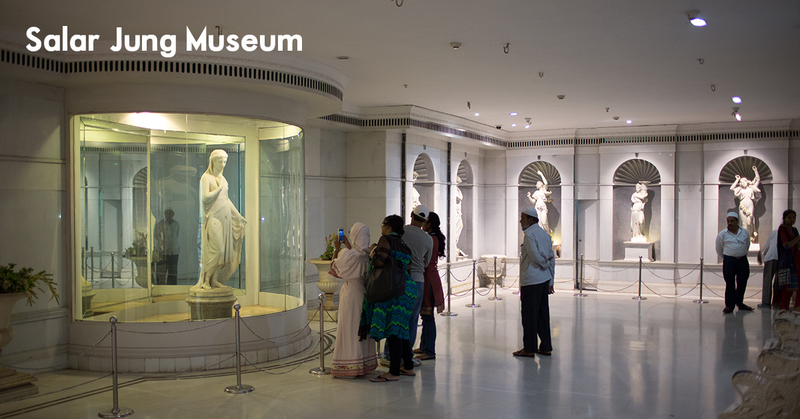 History buffs visiting Hyderabad must explore the Salarjung Museum, which houses a spectacular antique collection. The museum building was once the home of the Paigah family and still houses their possessions. Some antiques in this museum date back to the 1st century, which makes this place an absolute delight for the history lovers. Shopping in a new city is always fun. 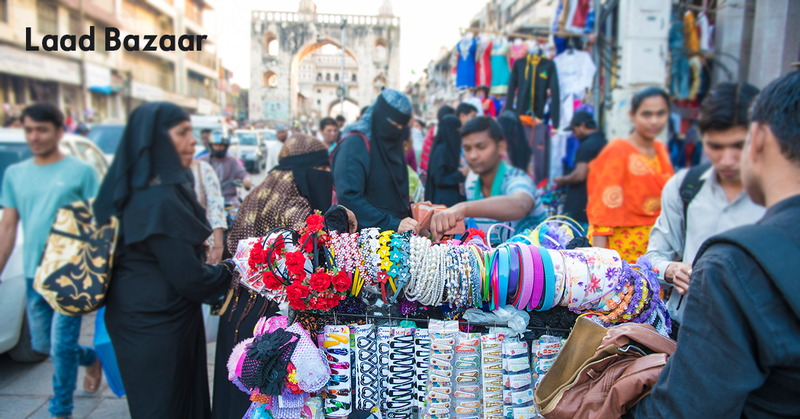 The most popular shopping destination in Hyderabad is the Laad Bazaar, which is best known for beautiful bangles. Located close to the Charminar and Chowmahalla Palace, the Laad Bazaar is also known as the ‘Choodi Bazaar’. This bustling market is popular for the authentic bangles and traditional jewelry. Birla Mandir was built by Swami Ranganathananda of Ramakrishna Mission and showcases the brilliant Utkala, Dravidian and Rajasthani architecture. This Vishnu temple is a must-visit sightseeing spot for both, the believers of Lord Vishnu and tourists interested in ancient history. The temple is perched atop the hill giving a beautiful view of the surroundings, which make the visit to the Birla Mandir a blissful experience. 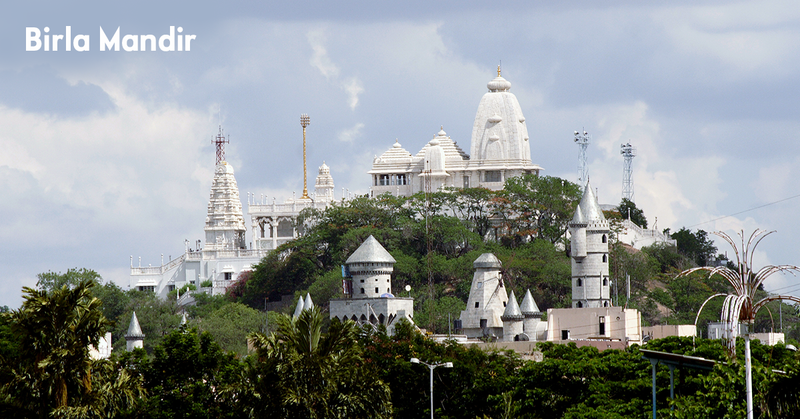 Situated about 2 km away from the heart of the city, the Hussain Sagar is a must-visit tourist place in Hyderabad. 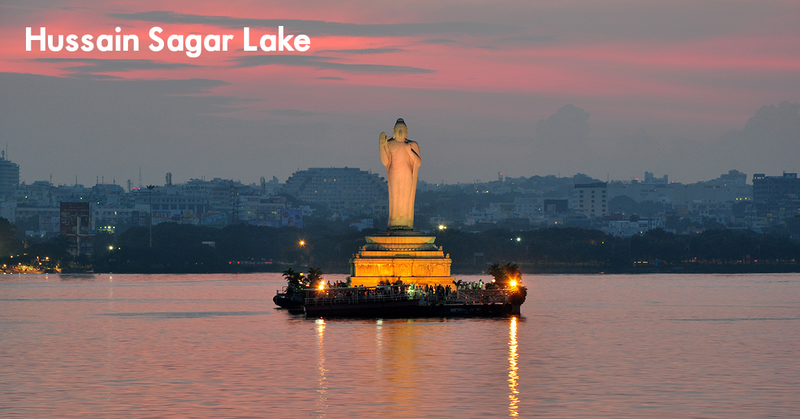 If you want to spend a quiet and calm evening in Hyderabad, you can visit the Hussain Sagar Lake. The lake was built by Hazrat Hussain Shah Wali in the year 1562 and was once the primary water source to the city. Within the lake, stands the 32 feet tall statue of Gautam Buddha, which adds to the beauty of the lake. The lighting show at this statue is worth watching. You can visit the lake in the evening, enjoy boating or indulge in photography. If you are planning to visit Hyderabad from the neighboring cities or want to drive around own your own when in the city, rent a car Hyderabad with Myles and enjoy the self-driving experience! Next Get Ready For The Lil Flea Delhi Edition 2 – Eat Shop Chill Repeat!